Traditional comprehensive plans are most often organized into discrete, single-issue topic areas, such as “land use” or “transportation,” with each topic area containing policies, goals and actions. This document adopts a multi-disciplinary approach which recognizes the interwoven complexity of the world in which we live. As such, this Plan has been organized according to the plan principles put forth by the American Planning Association (APA) which include: Livable Built Environment, Harmony with Nature, Resilient Economy, Healthy Community, and Responsible Regionalism. Each chapter outlines a policy framework from which goals and their subsequent actions are derived. Further, these multi-disciplinary plan principles highlight the linkages between the traditional topic areas and allow for a coordinated planning process, which incorporates universally applicable planning concepts, such as sustainability, wherever necessary. 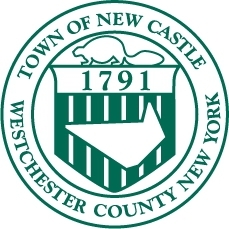 Additionally, the APA’s framework has helped to ensure this Plan exemplifies best planning practices which will equip the Town of New Castle with effective planning tools to address current and relevant issues as well as position the town to be competitive in the search of funding opportunities. New Castle embraces the beauty and benefits of recognizing and appreciating different backgrounds and interests and strives to establish a diverse community that encourages respect and tolerance for others. With that said APA’s sixth plan principle, Interwoven Equity, is not specifically discussed in a stand-alone chapter. Interwoven Equity is intended to ensure fairness and equity in providing for the housing, services, health, safety and livelihood needs for all citizens and groups. The policy discussions, goals and actions contained throughout this Plan call for housing, services and necessary planning policies which will encourage and respect the individual differences that enrich the community and therefore embody the objectives of Interwoven Equity. The New Castle Comprehensive Plan is a policy document which recognizes the social, environmental, economic aspects of the community. This is exemplified through the 48 goals contained in the plan. There are 186 actions that can be taken to achieve the intent of each of the goals. On a yearly basis, the New Castle Town Board will discuss the implementation of these actions to further their priorities for the community. The actions are subject to change and expand, but they provide a path to achieve the policies contained in the plan. Ensure that all elements of the built environment, including land use, transportation, housing, energy, and infrastructure, work together to provide sustainable, green places for living, working, and recreation, with a high quality of life.